As you advance through your adult years, investigating and incorporating certain health routines into your life can provide you with important physiological benefits that will help you maintain maximum vitality. Adults with Low T symptoms, for example, should investigate the benefits of testosterone cypionate injections if they have been thinking about incorporating a male hormone replacement therapy program into their health maintenance routines. When they do, they will discover that not all forms of TRT (testosterone replacement therapy) are created equal; in fact, some forms of treatment have been proven to be significantly more effective and beneficial to patients than others. In the US, injectable testosterone cypionate is widely prescribed by endocrinologists, urologists and hormone replacement therapy medical specialists to eliminate the sympt0ms caused by having clinically Low T levels. It is prescribed for both men and women who have developed an unhealthy imbalance in their available male hormone supply (women produce this hormone, but in much smaller quantities than men). Several leading US manufacturers of prescription pharmaceuticals produce their own proprietary versions of high quality testosterone cypionate; and while of them are highly effective and federally approved for use by US patients, a doctor may have sometimes have reasons to believe that one brand would be more beneficial to a particular patient than another brand. However, all of the approved brands of this controlled substance provide patients with the same documented benefits of testosterone cypionate therapy. Whether it has been manufactured by Pfizer, Watson, West-Ward, or a legitimate US compounding pharmacy, both men and women who are deficient in their body’s supply of male hormone can receive significiant improvement in their symptoms. The benefits received by women patients, who are typically going to be post-menopausal, tend to be narrower in range than those received by male patients; and it has been shown to increase the libido of female patients. Male patients, who have a more all-encompassing biological requirement for sustaining an adequate male hormone supply, receive a broader range of benefits from the medically supervised use of these injections, including increases in physical and mental stamina and energy; significant improvements in libido and erections; weight loss; increases in muscle mass and tone; and improvements in their emotional wellbeing. Does the Use of Testosterone Cypionate Cause Any Side Effects? All medications have the potential to cause certain undesirable responses whether they are being used correctly or incorrectly. Most of the possible side effects associated with a medication, which can be temporary, permanent, mild, moderate or in rare cases quite severe, are not going to be experienced by the majority of patients who are taking them. But it is always recommended that any concerns of adverse effects be discussed with your doctor before you begin your treatment. There are also some adults for whom the use of any form of testosterone replacement therapy is not indicated. This would include those who are allergic to bio-identical testosterone; those who have, or are suspected to have, prostate or breast cancer; people who have polycythemia; and men who do not want their fertility (sperm count) to be diminished. Also, adults who have a history of sleep apnea untreated could find that this condition will worsen from the use of TRT. Still, the benefits of testosterone cypionate remain very much in favor of those who have been clinically determined to qualify for using it as prescribed. How Soon Will You Get Results from Testosterone Cypionate? Every adult who is planning to use a TRT program wants to know the same thing – how long it will take to start feeling significantly better? But while the specific answer will depend upon a number of individual physiological factors, the good news is that most patients begin experiencing some of the many benefits of testosterone cypionate injections very quickly. However, the full range of benefits is gained cumulatively, typically developing in full over a 6-month course of treatment. Yet experienced hormone replacement therapy doctors are able to provide their patients with a reliable point of reference in regard to what to expect for progressive benefits during their cycle of therapy. And most patients are gratified to learn that some of these benefits, such as noticeable improvements in sexual desire and performance, can appear within just a few weeks of beginning to use their treatment. Improvements in disturbed sleeping patterns also appear quite early on in treatment. Other benefits can take somewhat longer to appear, such as the loss of excess body fat and gains in muscle mass. The benefits that patients receive from their individual TRT program can be affected by the presence of other health issues, such as obesity or by other prescribed medications that they may be taking. 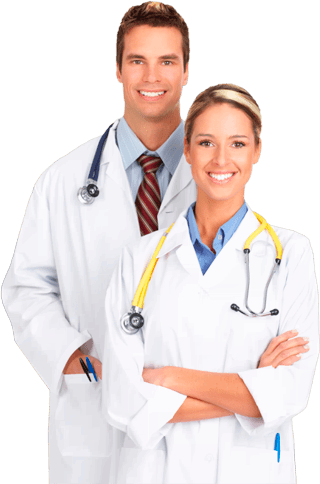 But since the benefits of testosterone cypionate and other medically prescribed forms of TRT accrue month by month as you use your treatments, as long as you are following your hormone therapy doctor’s instructions faithfully. Furthermore, the benefits will continue for as long as you are continuing to use your doctor prescribed treatment program.